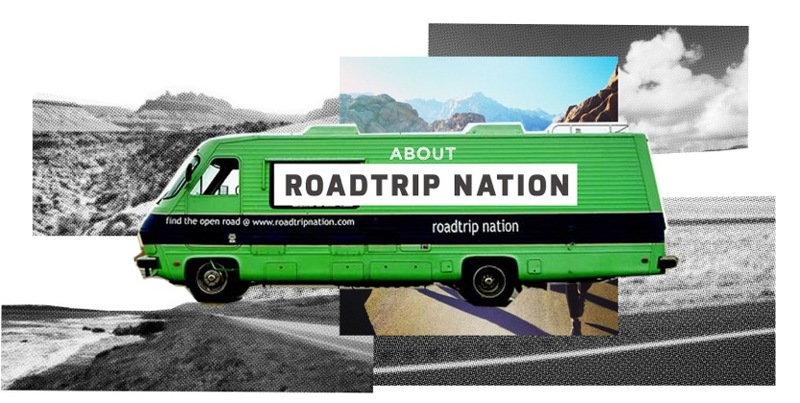 Roadtrip Nation started in 2001 when three friends fresh out of college weren’t sure what to do with their lives. Their solution? To road-trip around the country and ask people who do what they love how they got to where they are today. What started as a road trip sparked an annual documentary series, a number of books, and a career exploration educational curriculum—all dedicated to helping individuals build meaningful livelihoods around the things they love. Roadtrip Nation's unique approach to career and life-building has been featured at NBC’s Education Nation Summit, the Clinton Global Initiative Annual Conference, the UN Social Innovation Summit, Big Ideas Fest, and beyond. Roadtrip Nation is also a winner of the College Knowledge Challenge, a competitive grant initiative designed to support college access and completion, sponsored by the Bill and Melinda Gates Foundation in collaboration with Facebook, College Summit, and King Center Charter School.